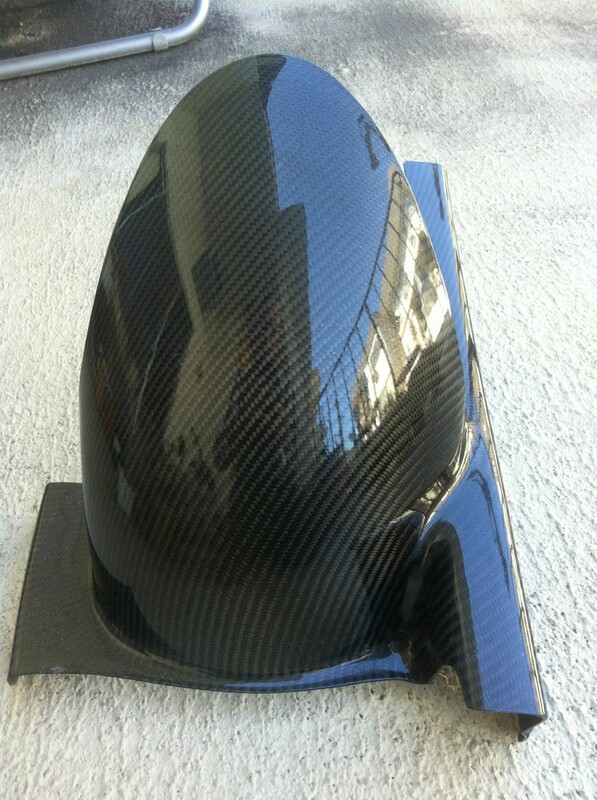 Carbon fiber rear tire hugger + chain guard and mounting hardware. It should fit all year F4i's. Came off mine with less than 2000 miles on it. As far as I can tell it's in pristine condition; no cracks or scrapes. Located in California Bay Area (Santa Clara). $130 shipped, $100 picked up locally. 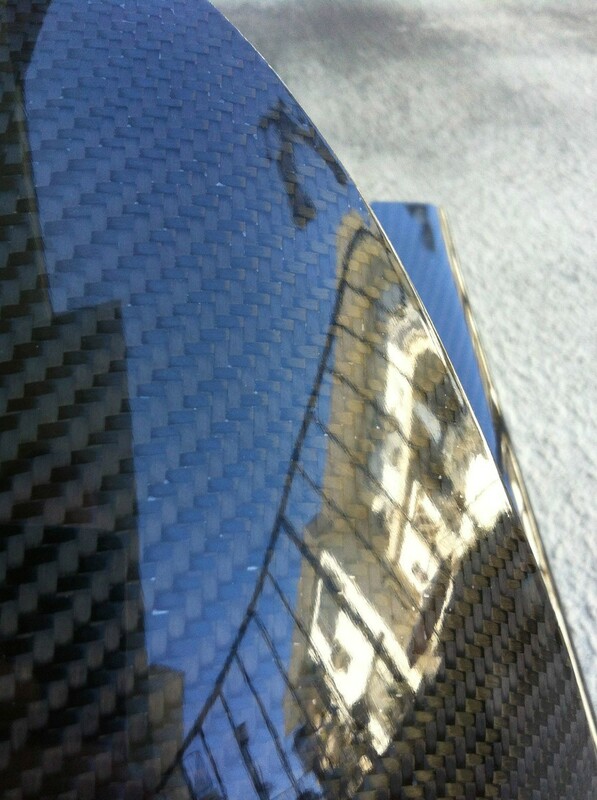 Carbon Fiber Works. I still have the sticker that came with it. Last edited by DarkNinja75; 05-29-2012 at 09:02 PM. Dang I was about to jump all over that. 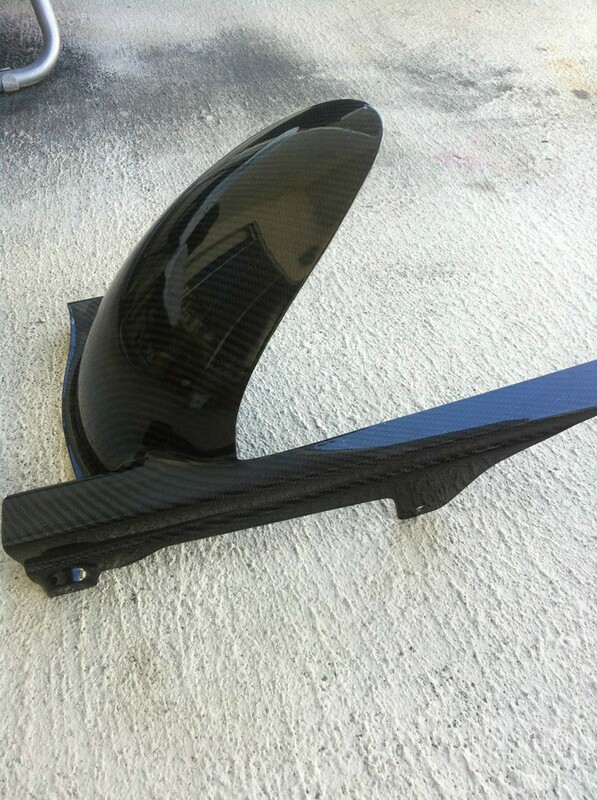 I have been wanting a Carbon Hugger but just can't see paying over 200 bucks for one. I have seen one or two for over 300 bucks.